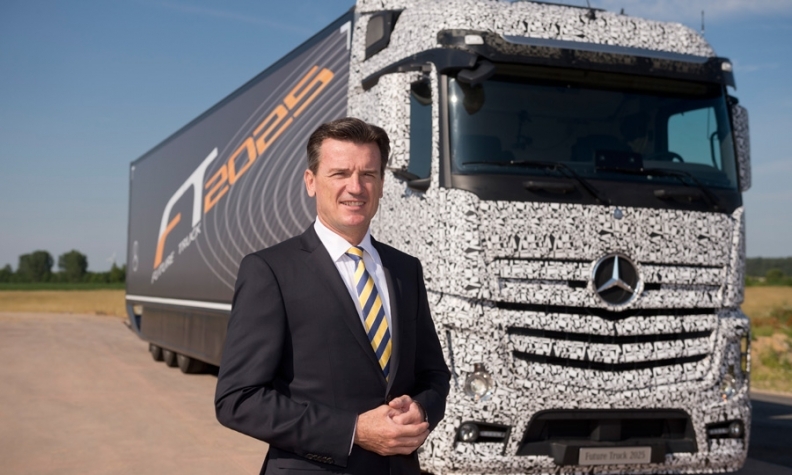 Wolfgang Bernhard, 56, head of the Daimler Trucks division, was once seen as a possible successor to CEO Dieter Zetsche. FRANKFURT -- Daimler trucks chief Wolfgang Bernhard, a maverick manager once seen as a successor to CEO Dieter Zetsche, has made clear he does not want his contract extended, German magazine Der Spiegel said. Bernhard's contract is due to expire in February 2018. Daimler declined to comment. Spiegel said supervisory board members, who were going to discuss extending Bernhard's contract at a meeting on Friday, were surprised to learn that Bernhard, 56, would not stay on if offered an extension, Der Spiegel said, citing unidentified company sources. In February last year, Daimler also promoted Ola Kaellenius, a 46-year-old Swede, to become board member for r&d, a move that company insiders say made him a natural heir to Zetsche.